Impressionist forerunner Claude Monet had a long and illustrious artistic career, which spanned over two centuries. The Paris-born artist married twice, lived through two wars, lost two wives and painted from as far as London to the Mediterranean. Most importantly however, Monet was considered the leader of one of the most vibrantly different influential artistic movements after Realism. Monet fought his father's desire for him to become a grocer. The family owned a grocery business but Monet was sure from a young age that his future lay in art. Claude Monet, or Oscar Monet as he was christened, was born on the 14th November 1840 in Paris. Monet was to spend many of his formative years in Le Havre in Normandy, however, as his parents moved there when he was five. It was in Le Havre that Monet's ambition to become an artist was encouraged by an educational institution. A young Monet attended Le Havre secondary school of the arts where he made a name for himself selling charcoal caricatures. His love of art and determination to be an artist was compounded by his continued schooling by renowned names in art history; he took lessons from Jacques-Francois Ochard, who himself was a student of Jacques-Louis David, and also studied under the tutelage of Eugéne Boudin, who introduced him to painting with oil paints and shared with him his style of "en plein air" or outside style of painting. 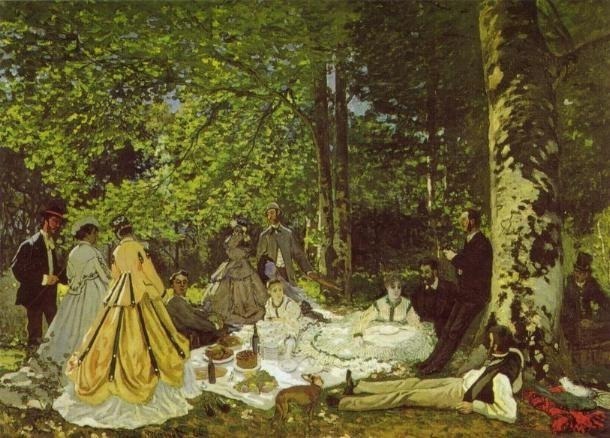 Upon his return to Paris some years later, Monet was exposed to the old masters in the Louvre and would make the acquaintance of other influential Impressionist painters, such as Edouard Manet. As Monet approached maturity as an artist his style began to diverge in a direction previously unseen. He preferred to paint outside and went against a variety of artistic traditions in pursuit of an artistic form that he felt comfortable with. Such a pursuit led him towards experimentation with color and light. Through his artistic portrayals Monet was attempting to depict outdoor sunlight with sketch-like precision. After a brief career in the army, Monet returned to Paris disillusioned with the direction of art being taught. He studied for a brief time under the watchful gaze of Charles Gleyre, where he met like-minded artists, including Auguste Renoir. The beginnings of the Impressionism circle formed in Paris, with the artistic principle of painting the effects of outdoor light with rapid brush strokes and broken color. Monet's focus brought with it his first taste of artistic recognition as he went on to paint his future wife, Camille Doncieux. The pair would later welcome their first son, Jean and later married. Monet and his family relocated to London for a while due to the outbreak of the Franco-Prussian war in 1870 and it was here that he witnessed the landscape work of John Constable and Joseph Mallord William Turner. Monet and his family moved around substantially after London, staying in Zaandam and Amsterdam in the Netherlands. Monet also moved to the village of Argenteuil in France for a brief time. In 1872 he settled back in France and painted perhaps one of his first true Impressionist paintings, Impression, Sunrise. 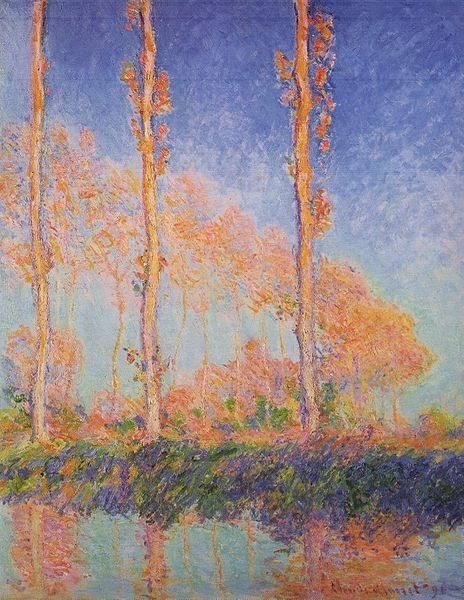 This work was the centrepiece of the first Impressionist exhibition in Musée Marmottan Monet, in Paris. 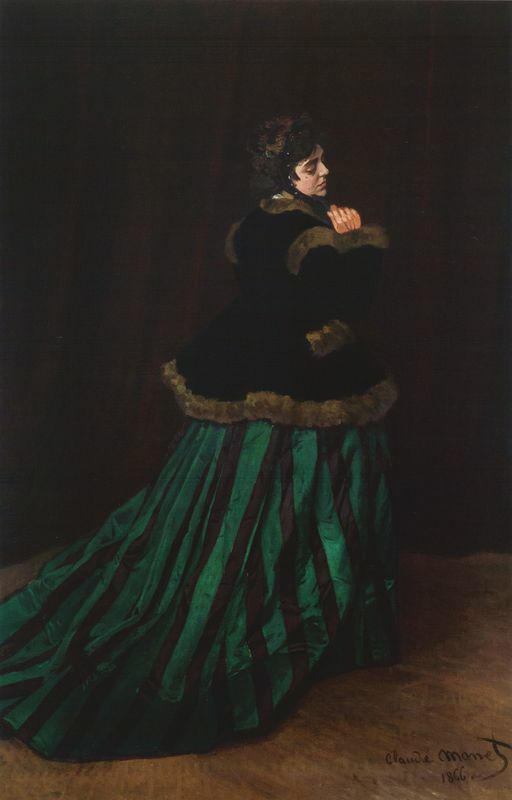 Shortly after the birth of their second son, Monet lost his first wife Camille to tuberculosis in 1879. A dedicated painter, Monet sought to paint his ailing wife on her death bed. Resolved by his loss, Monet painted a series of land and seascape paintings. For Monet, this marked a transitional period where he no longer seemed interested in incorporating human figures into his work. In 1880 Monet remarried Vétheuil local Alice Hoschedé and he and his ever growing family moved once more. His move to Giverny was perhaps one of the most influential in his illustrious painting career. Before settling to dedicate the rest of his professional career to painting scenes from his property in Giverny, Monet traveled to the Mediterranean. Here he relished the opportunity to fully explore his love of natural lighted scenes. Now considered one of the foremost authorities and leader of the impressionist movement, Monet made an important move to a house in Giverny, Upper Normandy. There he began painting his now famous water garden and the inspiration for perhaps one of his most renowned works. Monet's aim was to paint a series of paintings depicting various natural scenes in different light conditions. The first of these was a series of paintings of Haystacks from different angles and at different times of day. Monet went on to paint, Rouen Cathedral, Poplars and Water Lilies. 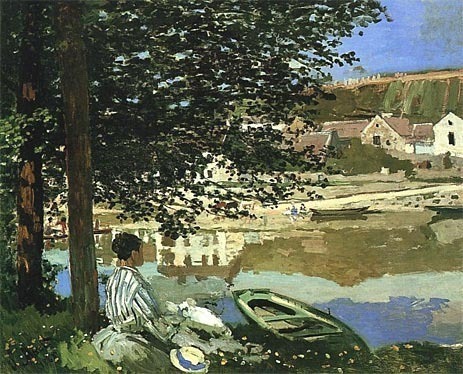 These and many other paintings painted on Monet's property were exhibited at the Galerie Durand-Ruel. 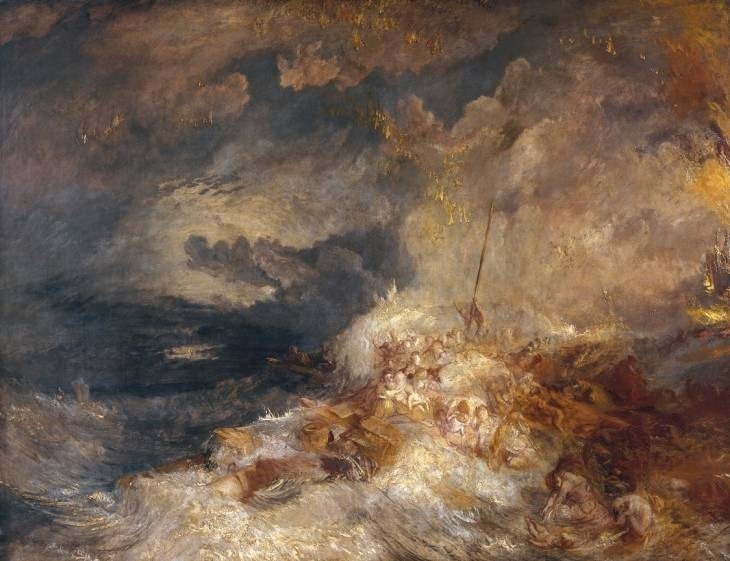 The artist's ailing health and increasingly bad eyesight were evident in his work. He began to suffer from cataracts and 1923 had two operations to remove them. Before then, however, his work in response to the First World War including a series of Weeping Willow trees has a reddish tone not uncommon to that of cataract sufferers. After the operations, Monet altered some of his water lilies painting. Many believe this is a direct reflection of his changing vision, which was said to have been capable of perceiving ultraviolet wavelengths of light that eyes can normally not see.